OCC's With Love restaurant in Syracuse. There’s a new restaurant opening up in Syracuse -- but it’s a little different. It’s a teaching restaurant for Onondaga Community College, which will alternate world or regional cuisines every six months. First up -- Pakistani food. 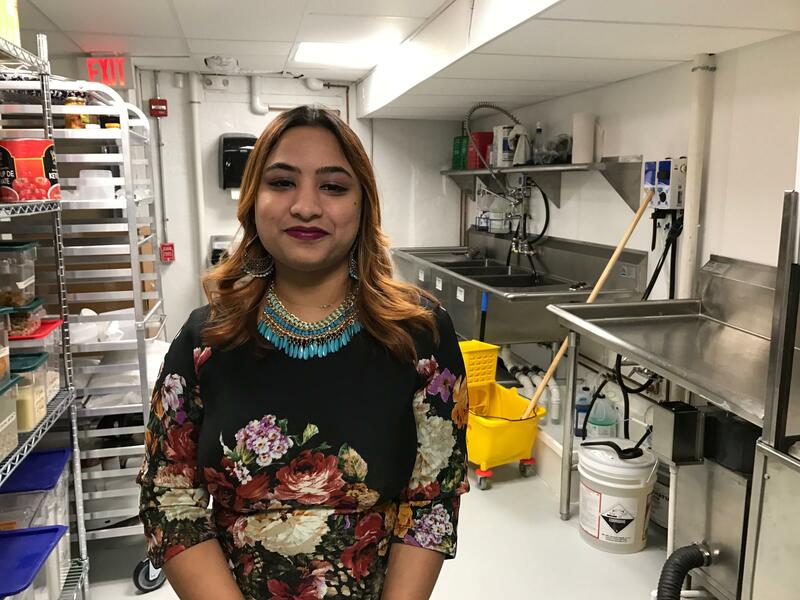 Sarah Robin, an immigrant from Pakistan who now lives in Syracuse, is the restaurateur in residence who will be running the North Salina Street restaurant called “With Love” for the next six months. Sarah Robin is the restaurant in residence, cooking her native Pakistani food. So taking part in this hands-on food management program at Onondaga Community College will teach her the ins and outs of dealing with vendors and managing people, among other things. Mike Metzgar, associate vice president of economic and workforce development at OCC, says this is a new educational model for the community college. "We’re trying to have more adaptive models that are more tied to more hands-on, more tied to real economic need. And for instance here, the food service manager for which we’re training people, is a living wage job that should ideally leave to a thrivable wage job,” said Metzgar. “My favorite dish here that I’ve cooked so far is the vegetable biryani. It’s a rice dish it has carrots in it, it has different vegetables, potatoes. I enjoy cooking that," said Jones. The restaurant is open for lunch Tuesdays and Wednesdays and dinner Thursdays and Fridays. And there’s no word yet what will follow up the Pakistani cuisine. Onondaga Community College hopes to close a skills gap in the local agribusiness and food industry sectors of the economy. According to OCC President Casey Crabill, she estimates there are 2,400 openings in this field every year in central New York.